1 What is a Soldering iron? 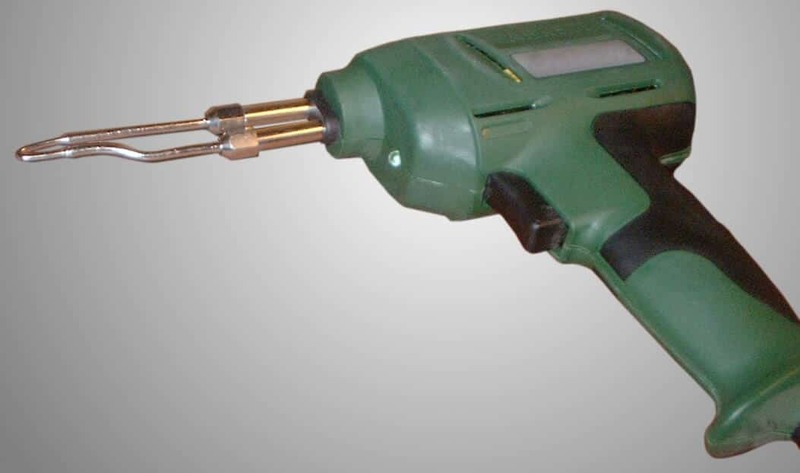 A soldering iron is a handy tool that can be used for soldering at home or commercial facilities. The tool has a metallic tip with insulated handle attached to it. When giving current , the metallic tip provides heat to the solder. The solder is a metal allow that fuses into the gap between 2 metals needed to be join. By heating solder, it melts and fuses between the metals joining them permanently. Depending on the requirement, there are many different types of irons to choose from. The type of soldering projects you commonly do and how commonly you use the iron can help you make the right buying decision. If you are looking to buy a new soldering tool and are confused with all the different options, this post will help you choose one ideal for your application. There are essentially four different soldering irons types available in the market. 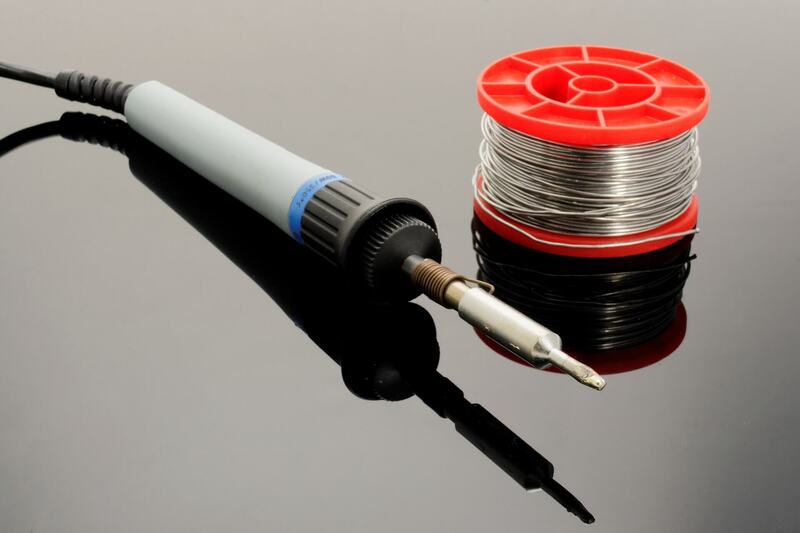 Every soldering iron is used for different industry depending the type of project. This means if you are doing college project on small board or using it for home use, you will need smaller iron rod. But if you are working in big industry, you will need proper iron rod with proper workstation and other facilities. If you are looking for a cheap soldering iron for DIY projects, a soldering pencil can be the best choice. They are very easy to use, and their compact design makes storage convenient. However, these are not recommended for commercial applications as they do not offer any kind of temperature control feature which can be a requirement for commercial applications. A soldering gun is also an ideal choice for small home applications and DIY projects. A major difference between a soldering pencil and a soldering gun is the short warm-up time of the latter. They feature a transformer to convert 110 V AC to lower voltage and another transformer to produce hundreds of amperes of current. It is this high current produced by the transformers which quickly heats up the soldering tip. As compared to standard soldering pencils, soldering guns are more expensive. 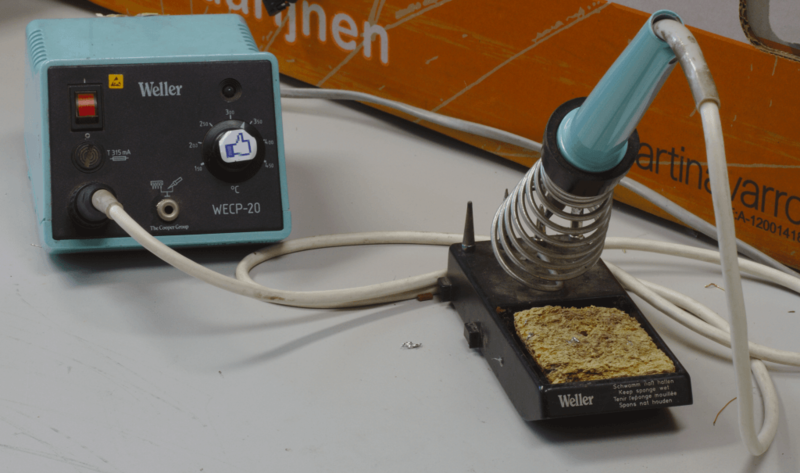 A soldering station consists of a soldering pencil and a power station which can be used to adjust the temperature of the soldering iron tip. Some of the models also come with electronic temperature control for better accuracy. The power station not just helps the tip to reach the right temperature but also maintains that temperature throughout the time you use it. Repair/rework stations are commonly used in commercial facilities. These are complex soldering systems which are made up of many different components like soldering iron, thermo-tweezers, de-soldering unit, and hot air-gun. There can be additional components as well in advanced models. Needless to say, these stations are more expensive than soldering pencils and standard soldering stations. 1.Wattage- One of the most important considerations is the wattage of the iron. Most models now range in between 20W-60W, and a model with the wattage of 50W is ideal for most applications. Higher wattage is recommended for commercial applications. 2. Temperature control- Depending on your application, you might or might not need temperature control. If you are regularly involved in basic DIY projects at home, you do not really need temperature control. For other applications, temperature control can be very useful. 3. Tip shape and size- Not every soldering iron can be used with multiple tip shapes and sizes. Choose a model as per the type of tip you usually prefer. You can also look for a model which can be used with multiple tip shapes and sizes for all the different types of projects. Look for a reliable manufacturer or supplier of soldering irons as they’d usually have an extensive range of products to help you pick the best. Remember the points discussed above and selecting the right model for your application would be simple and quick.